At 8” x 66, believe it or not, this is not the largest cigar made by Oscar Valladares Tobacco & Co. - one of the hottest boutique brands currently turning heads in the craft cigar scene. The biggest? That honor goes to the brand’s event-only “The Woody by Oscar” - at an astonishing 21” x 100! If you ever plan on taking that beast down, you’ll need practice. That’s where “Big Johnny by Oscar” comes in… The blend is based on the cult hit “LEAF by Oscar” Maduro blend and was inspired by one of Island Jim’s regular customers at his Leaf & Bean shop in Pittsburgh. 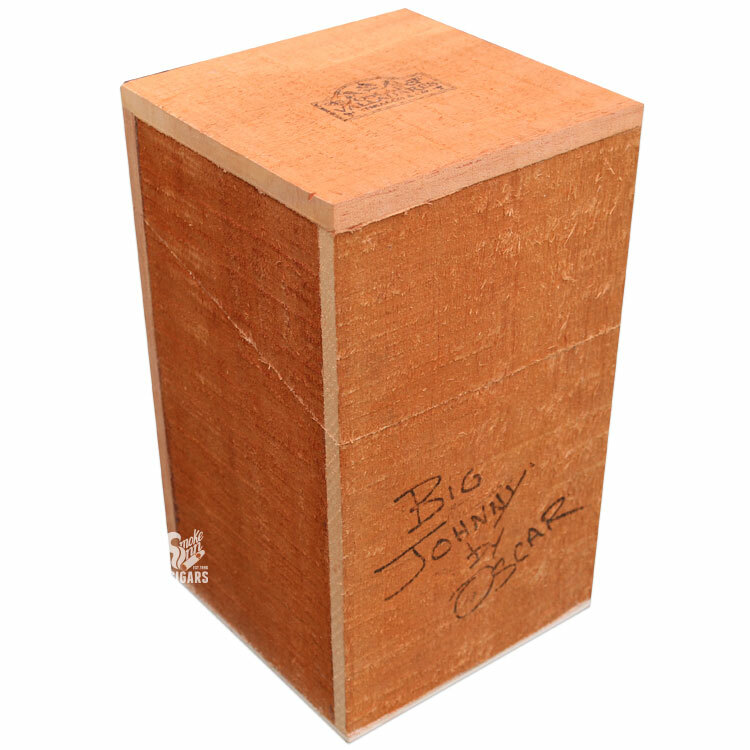 With a familiar, simplistic/rustic design, Big Johnny is all about the smoking experience! No frill. No fluff. Simply a beastly smoking experience worthy of at least 2.5 hours of sweet, maduro pleasantries… Experience this massive Honduran smoke that has enthusiasts abuzz - featuring an oily, Nicaraguan Jalapa wrapper over Honduran fillers - making for a medium-full experience you won’t soon forget!